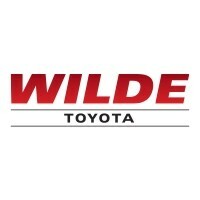 Take the trip from New Berlin or Waukesha to Wilde Toyota to see it for yourself! Why Buy the New Toyota Tacoma from Wilde Toyota? Truck drivers around Milwaukee know they can count on the new Toyota Tacoma—whether they’re at the job site, helping someone move, or embarking on an off-road adventure. In addition to its available V6 engine, the Tacoma is offered with rugged off-road features like Crawl Control, Multi-terrain Select, and an electronically locking rear differential. It also comes standard with an Entune™ audio system and an integrated backup camera. If this seems like the truck you’re looking for, Milwaukee drivers can test drive the new Tacoma by contacting Wilde Toyota today. Still making your decision? See how the Tacoma prevails against tough competition like the Chevy Silverado.